I want to share with you my art guitar that I created for the Wildflower Festival in Richardson Texas. I’ve been working on it for the past two weeks and am finally done! 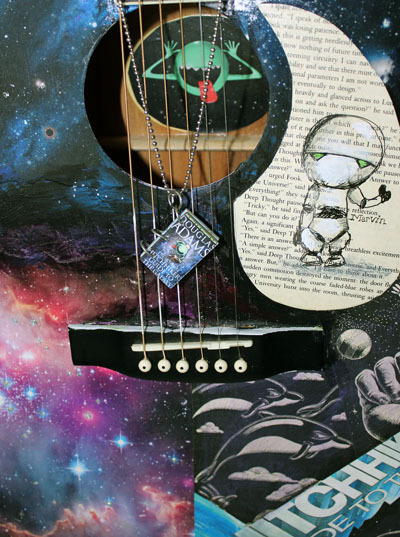 Guitars are created/collaged/sculpted and otherwise transformed into artwork to be auctioned off for a good cause (literacy and secondary art programs). This is my third one to do. 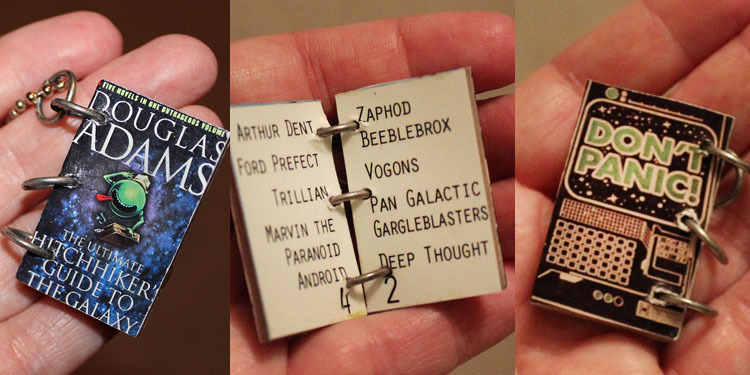 I love the author Douglas Adams’ books (most known for The Hitchhiker’s Guide to the Galaxy series) and since he passed away 13 years ago this month, I decided to do a tribute to him. 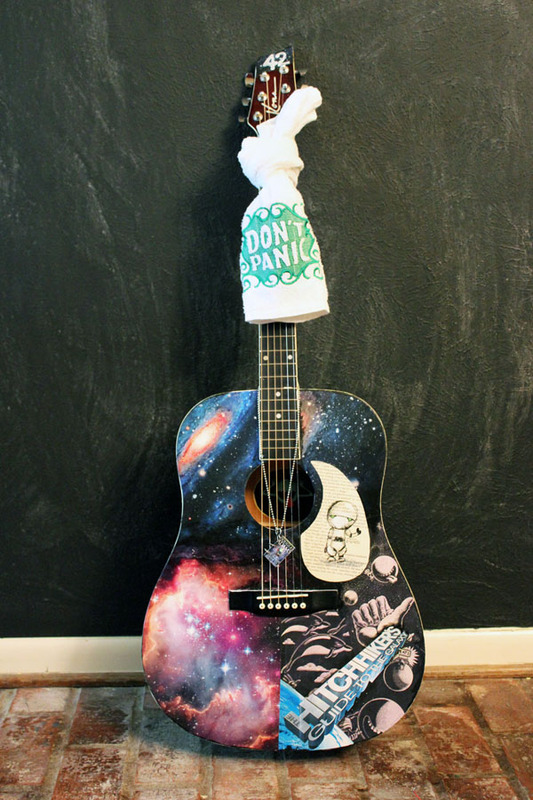 I collaged items from the book and movie poster and some of my own painting to make a one-of-a-kind guitar. (Plus you can still play it!) The winner of this item at the auction also gets a tiny book necklace I made and a Don’t Panic towel which I did not make, but purchased off etsy. (If you’ve read the books, you know that towels and the number 42 play an important part of the story!) It was fun. Glad it’s done. Enjoy.